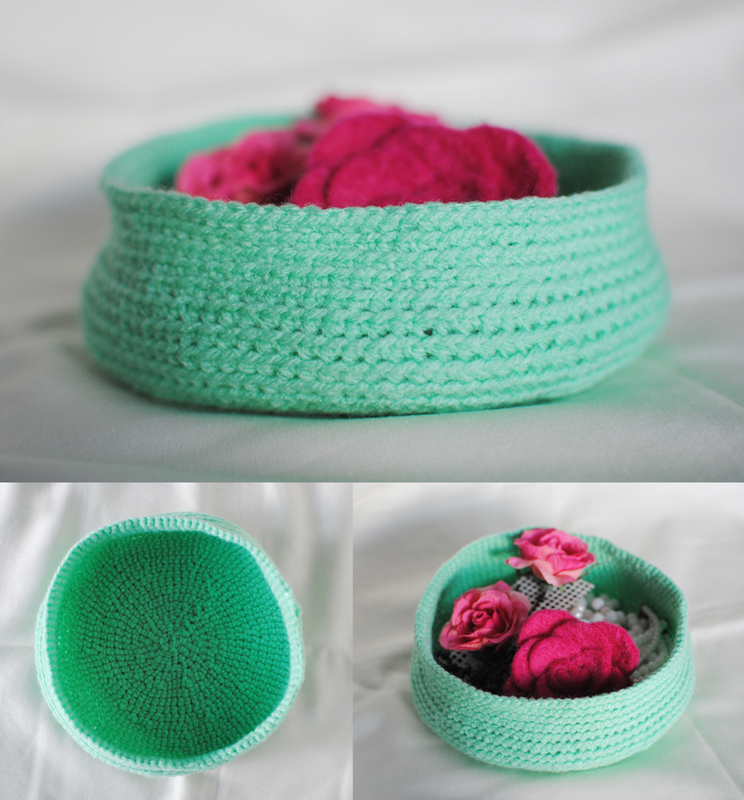 Here is another result of my exploration into the world of crochet -a simple soft bowl. 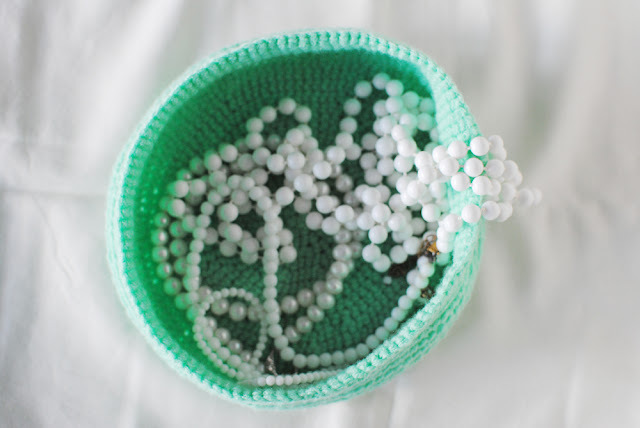 I have been wanting something to put my jewelery and hair clips into for a little while now and when I saw some crochet baskets and bowls floating around on Pinterest, I knew I wanted to make one. I found this bowl easy to make as you only need to know how to make the single crochet stitch and increase. Bunny mummy has a good tutorial here to make similar bowls. I don't like counting the rounds though, so mine is free style! 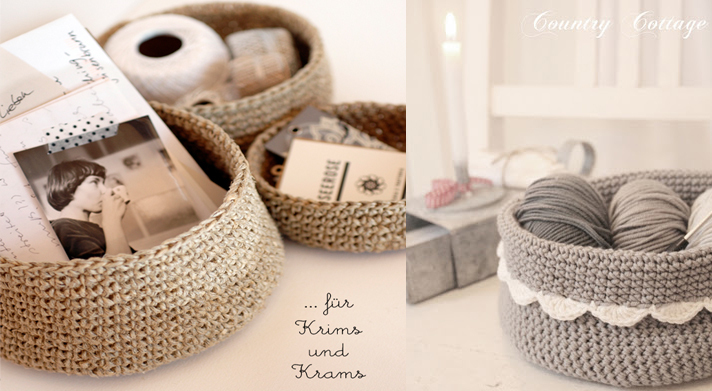 I used a polyacrylic yarn (I fell in love with the colour and had to use it regardless of what it was made from!) so my bowl is quite soft, but it holds its shape well enough for my purpose. What do you think? This came out so pretty!